Watch the new Greasomatic video. 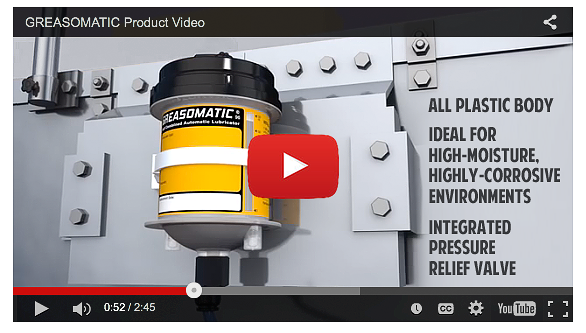 This video outlines the features and benefits of the Greasomatic Self Contained Automatic Lubricator. Prevent expensive equipment failure and downtime. Enlist the Greasomatic in your preventative maintenance program! Visit the Greasomatic Product Page.